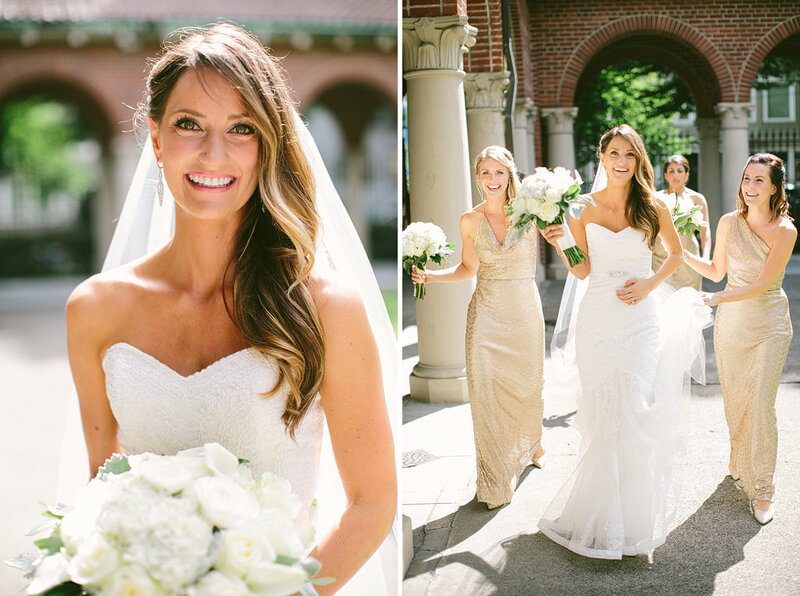 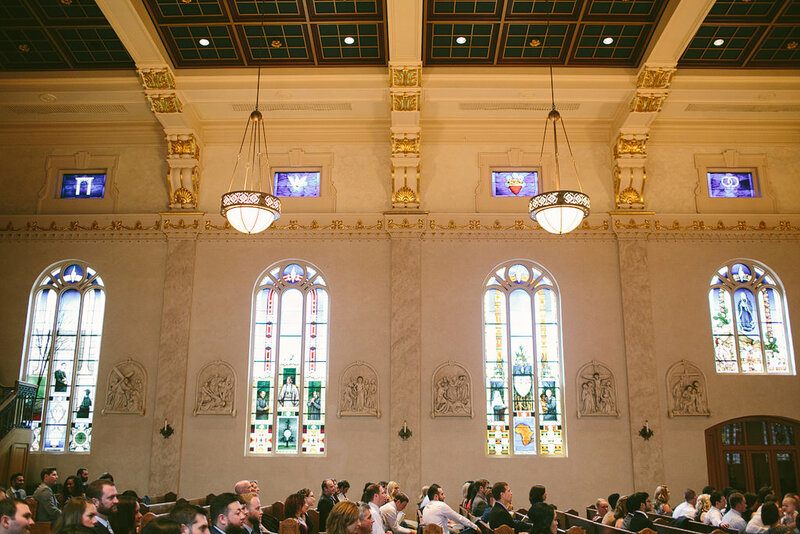 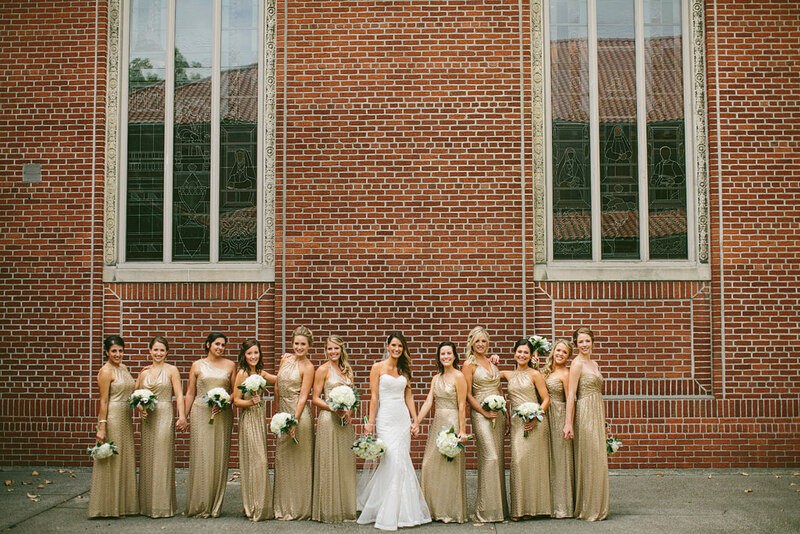 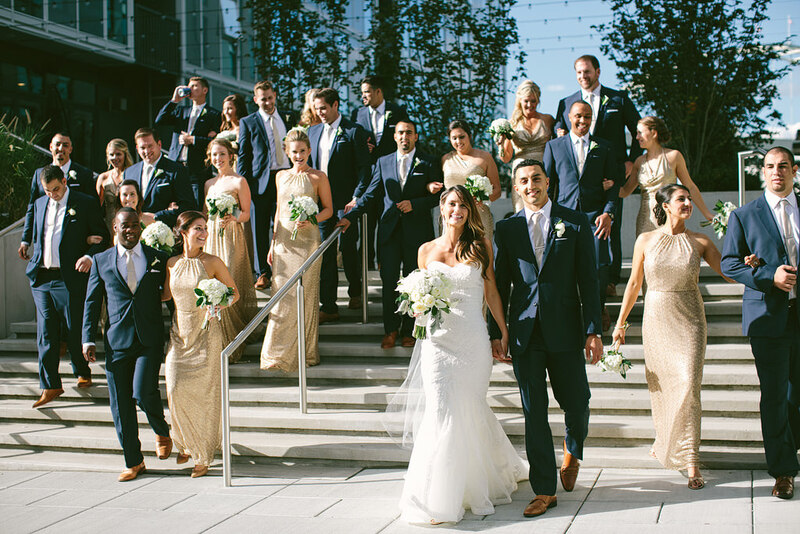 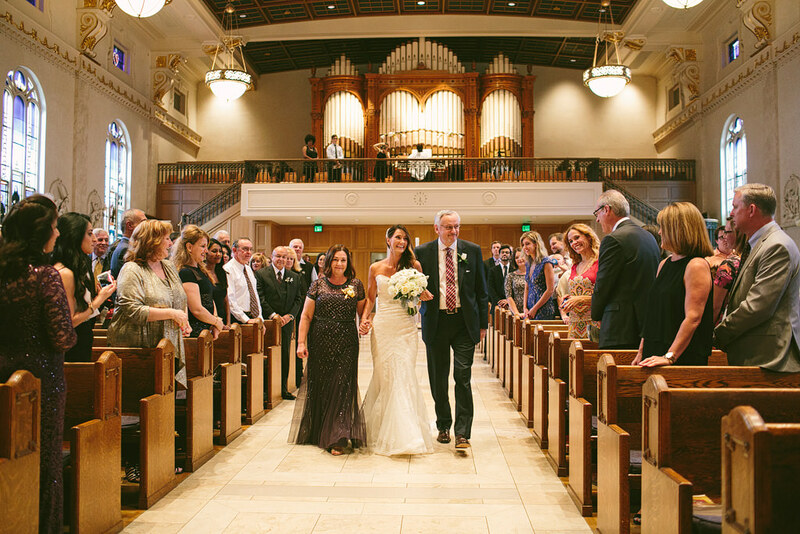 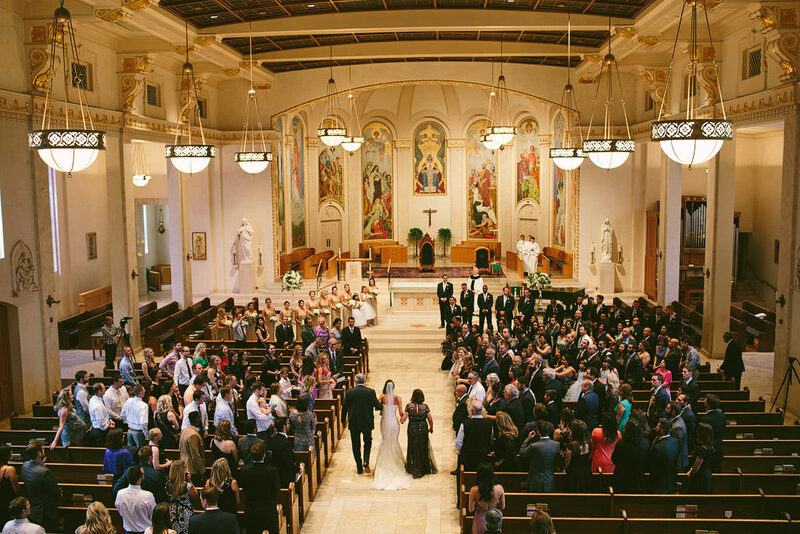 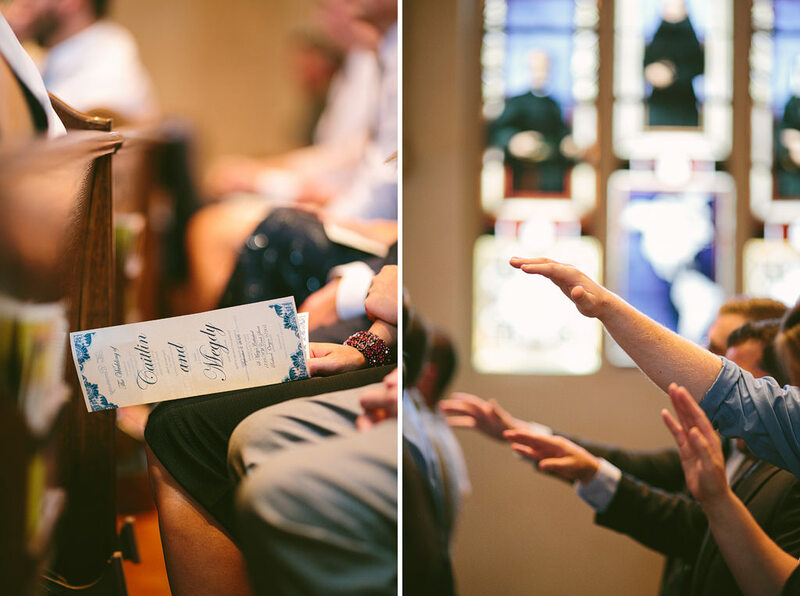 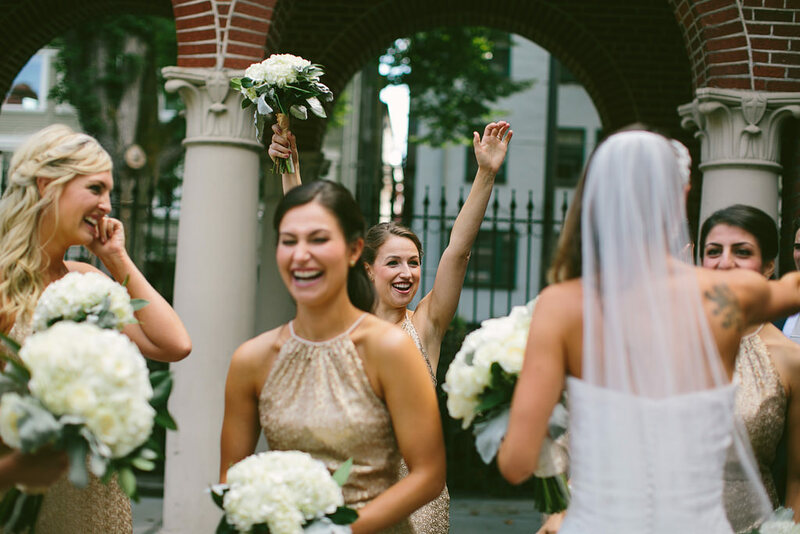 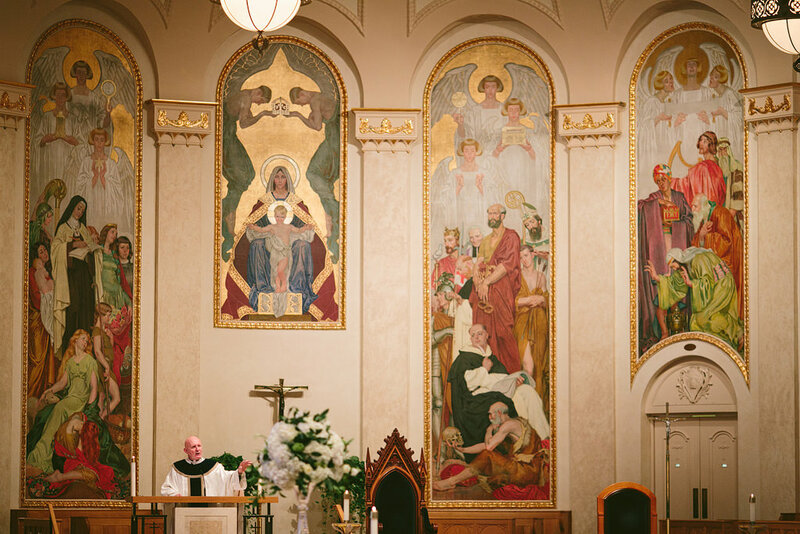 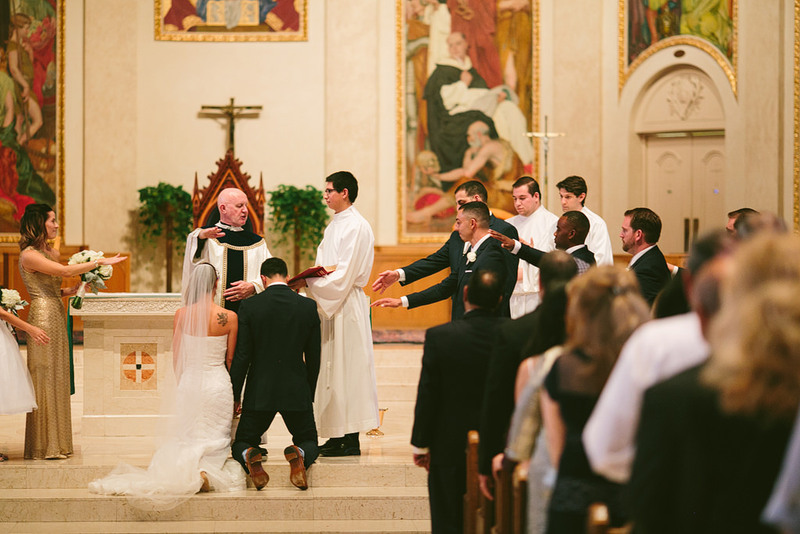 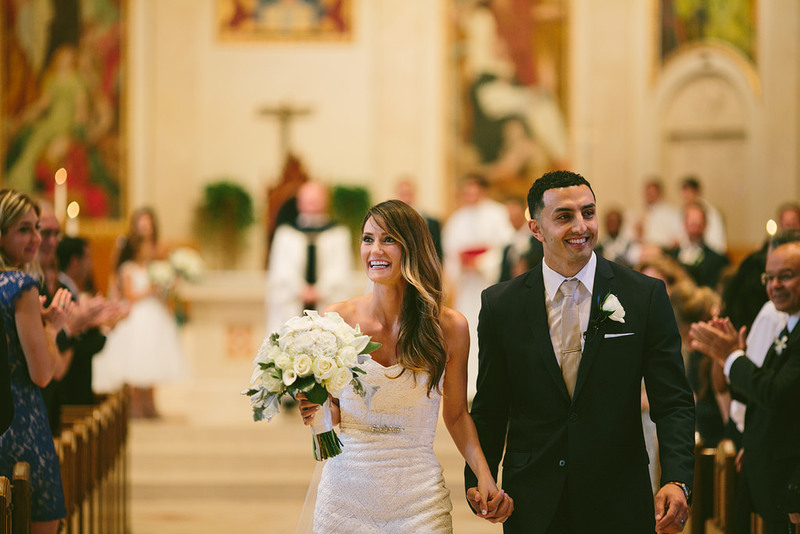 A sneak peek at Caitlin & Megdy’s incredible wedding at St Mary’s Cathedral and the Portland Art Museum! 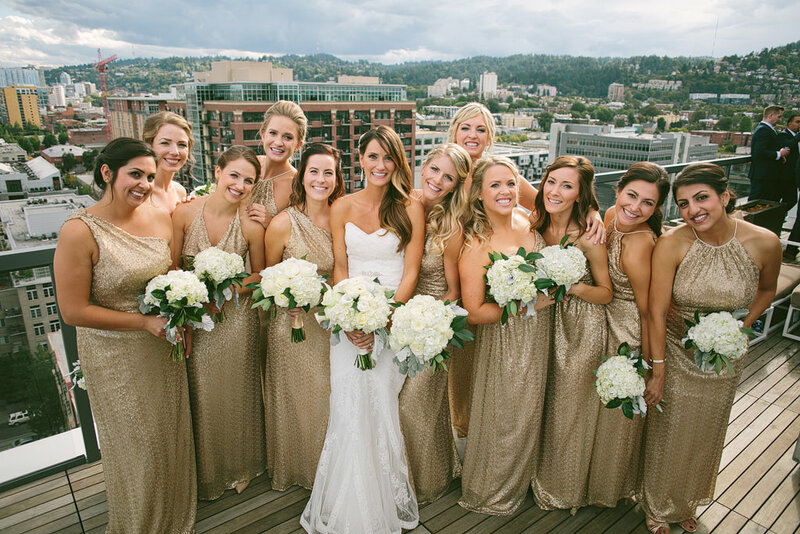 Caitlin’s bridesmaids were in gorgeous gold sequined dresses, and carried lush, white floral bouquets. 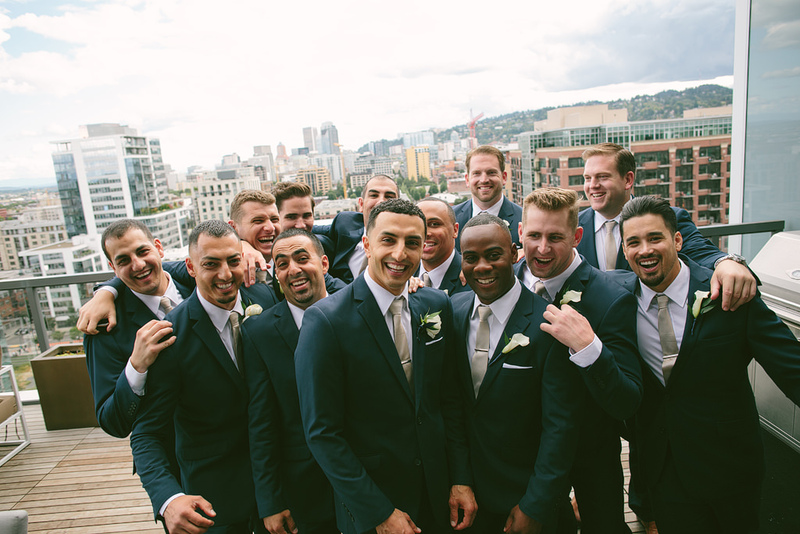 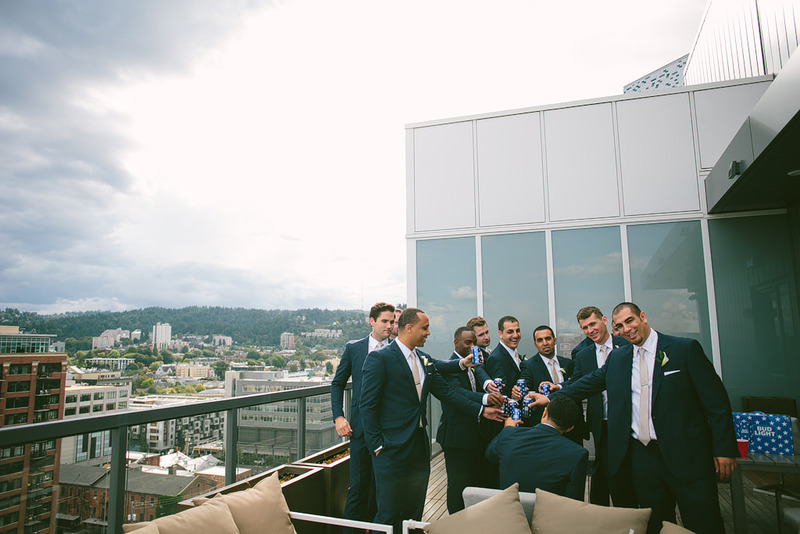 The groomsmen looked so dapper in their navy suits. 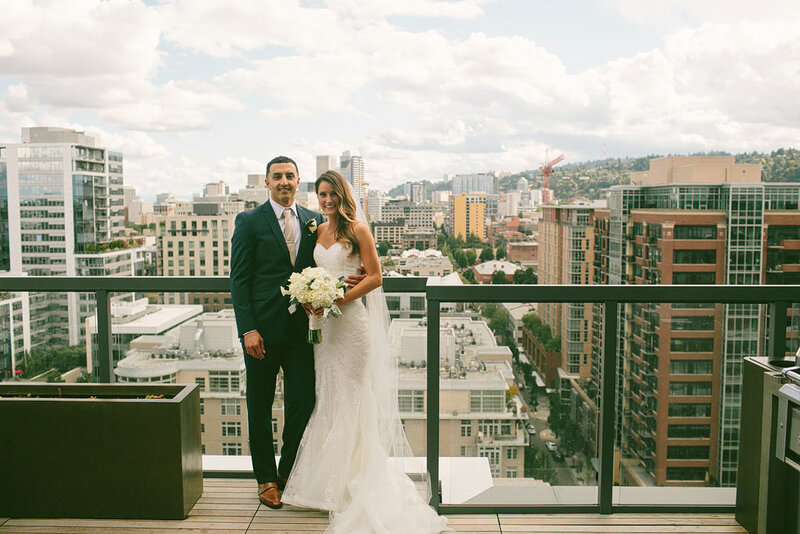 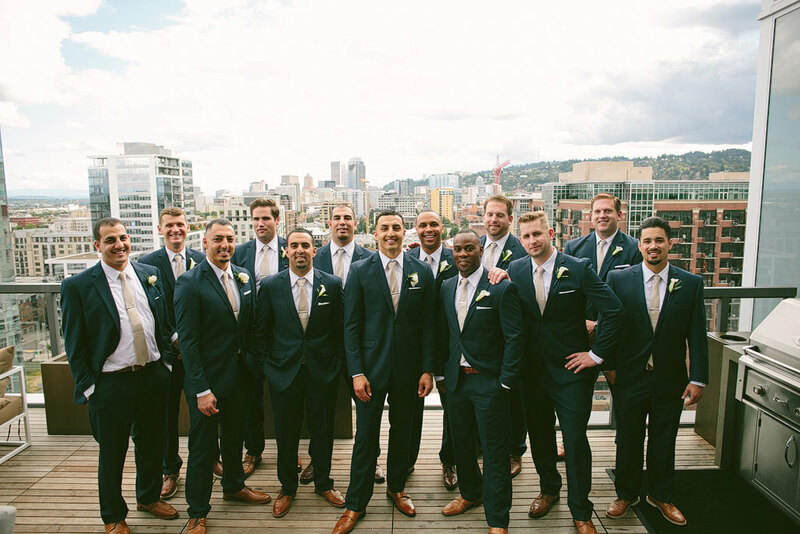 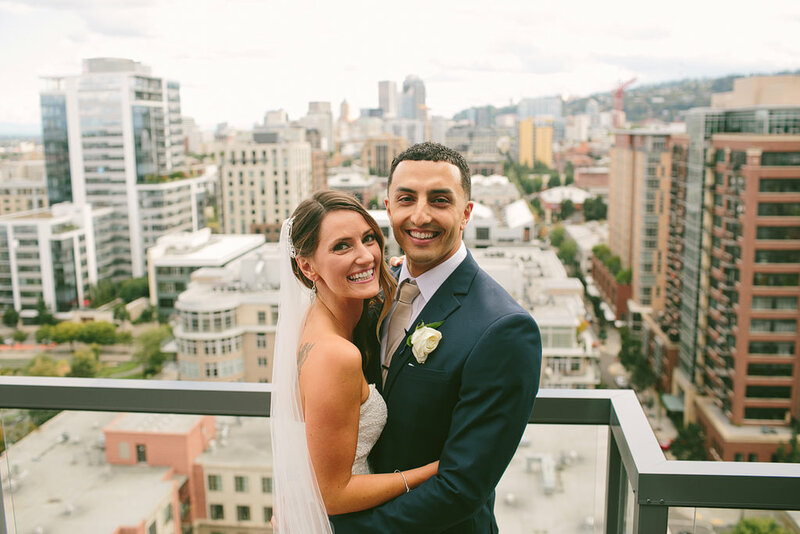 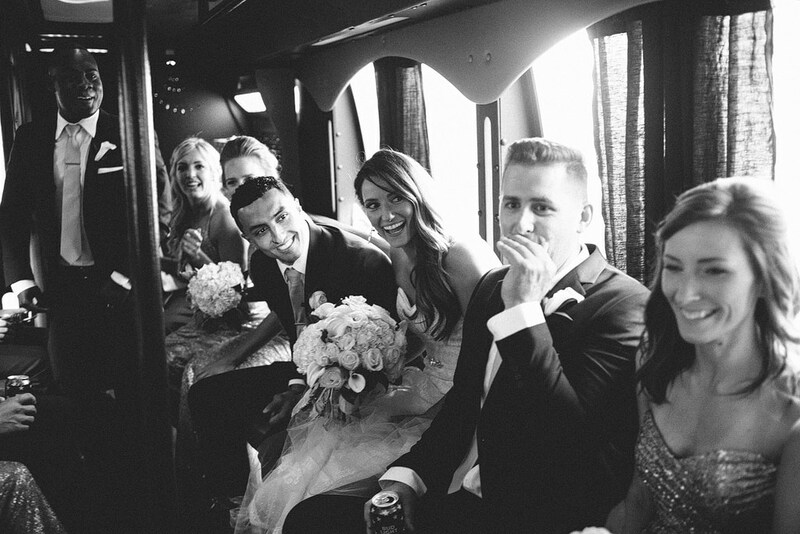 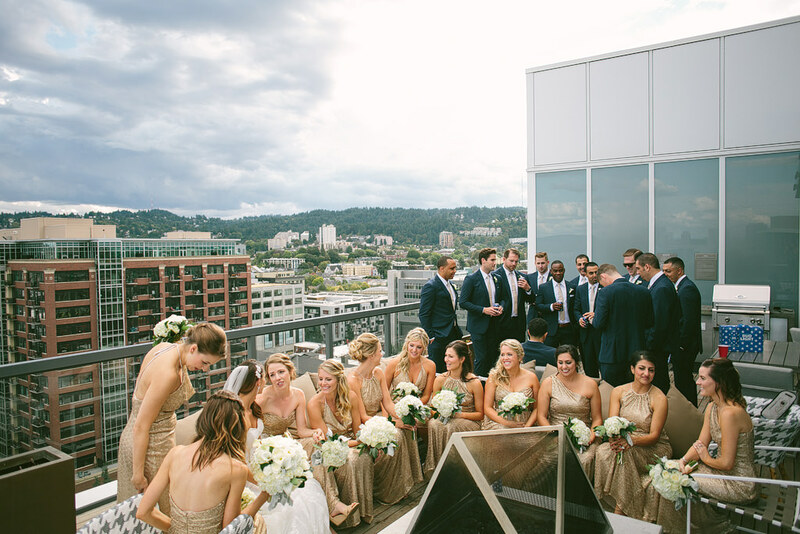 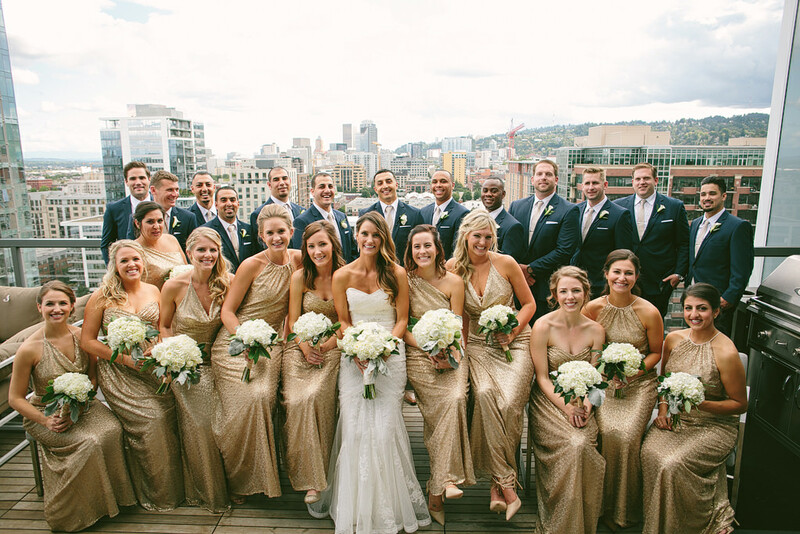 After their sweet ceremony, everyone loaded in the party bus and we went up to Caitlin and Megdy’s rooftop terrace for bridal party photos with the best cityscape view of Portland! 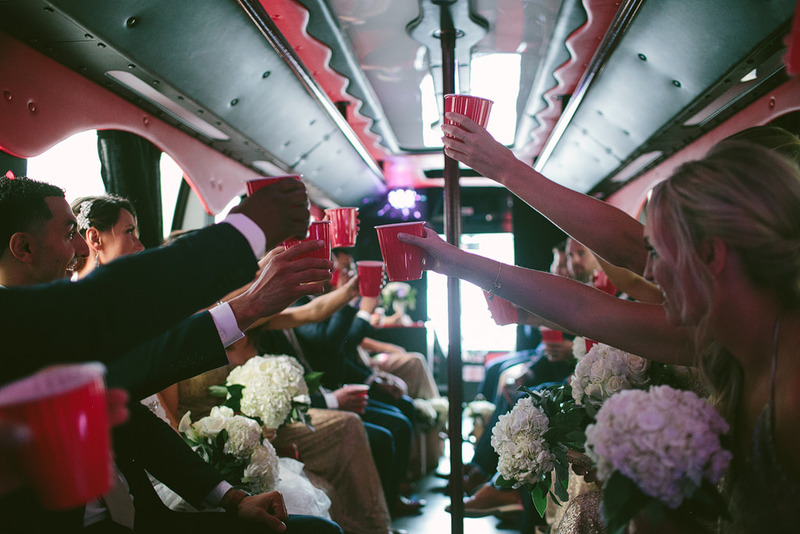 Their 25 person bridal party was a blast! 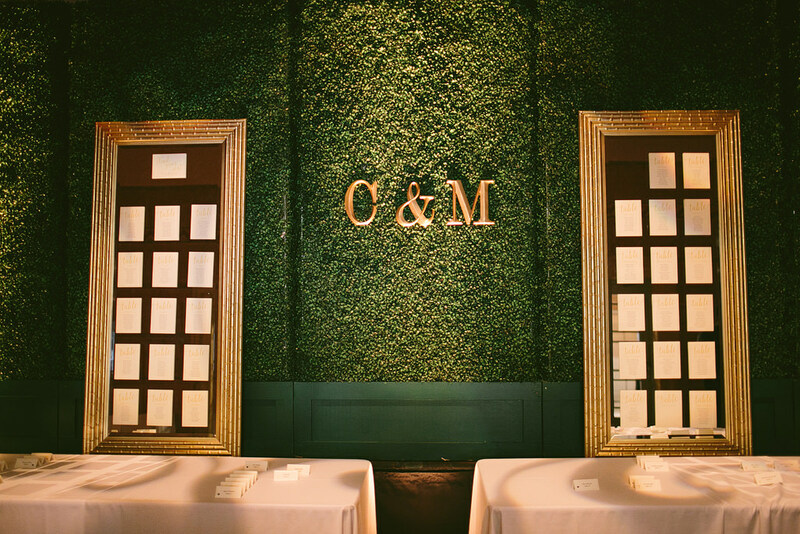 The Portland Art Museum was so elegantly decorated! 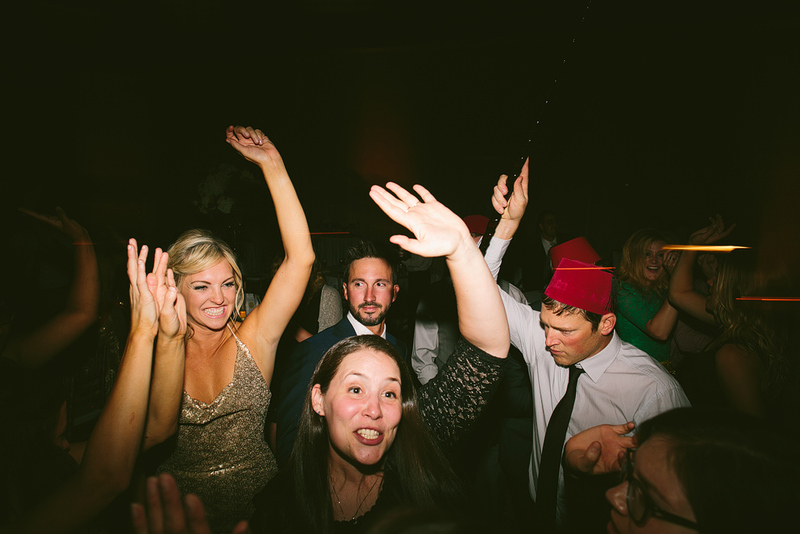 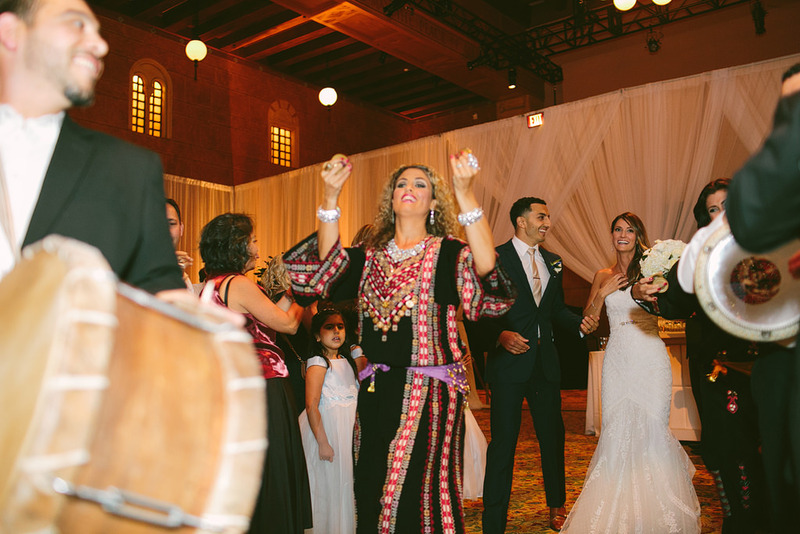 Caitlin and Megdy were announced with drum players and belly dancers, which kicked off an amazing dance party that lasted all night long! 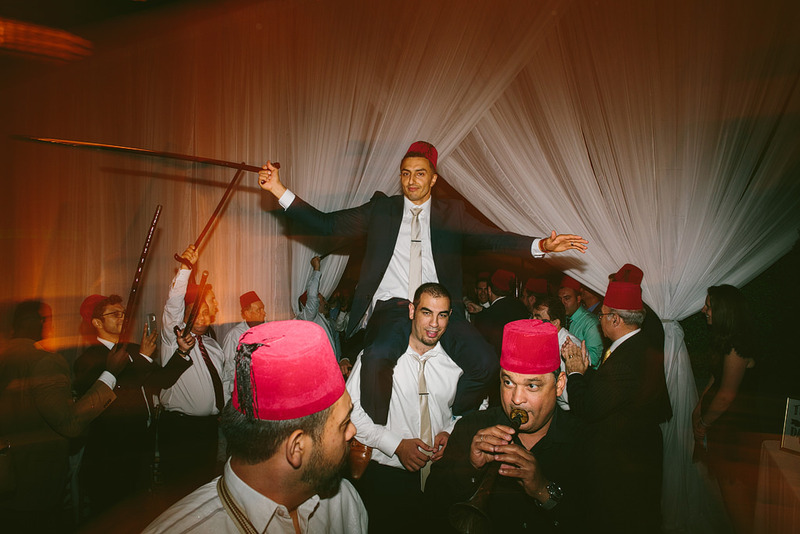 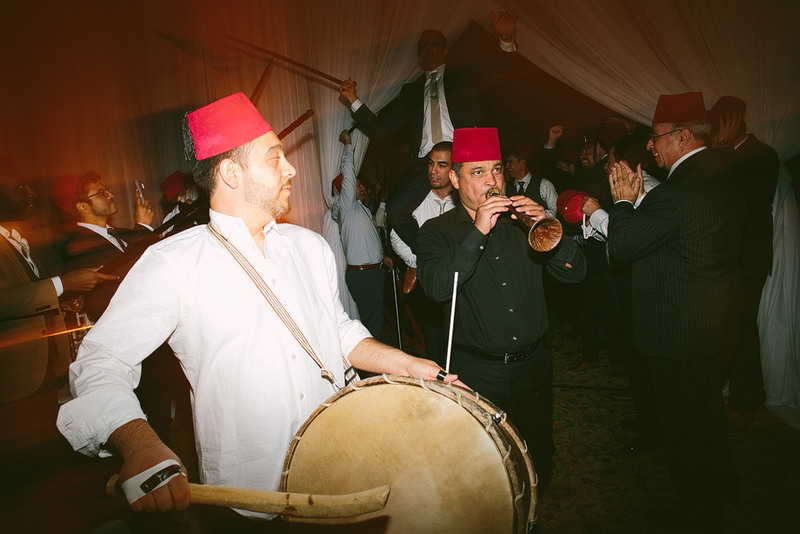 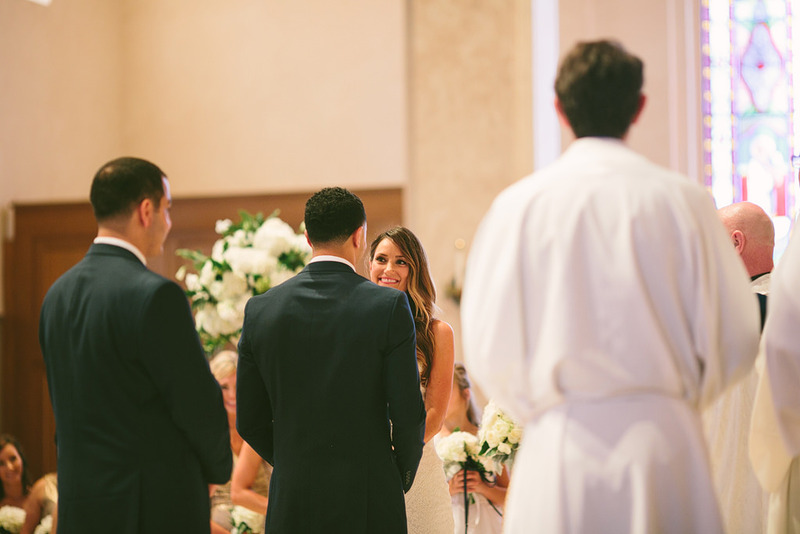 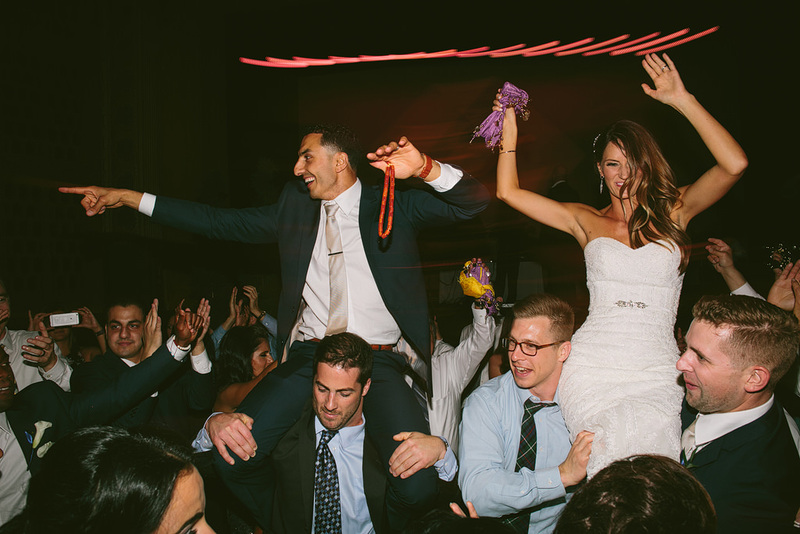 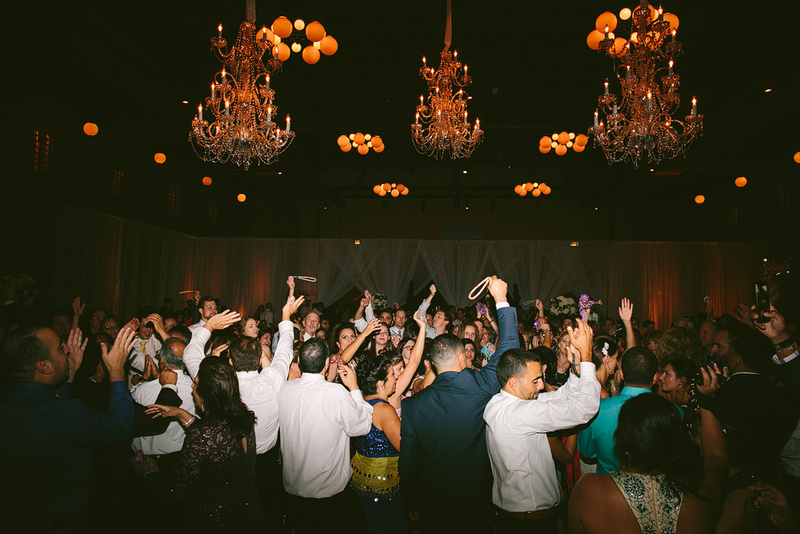 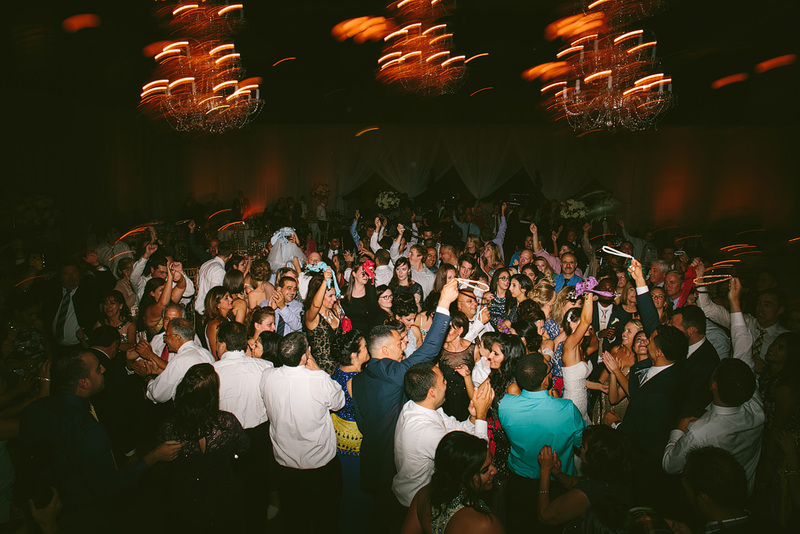 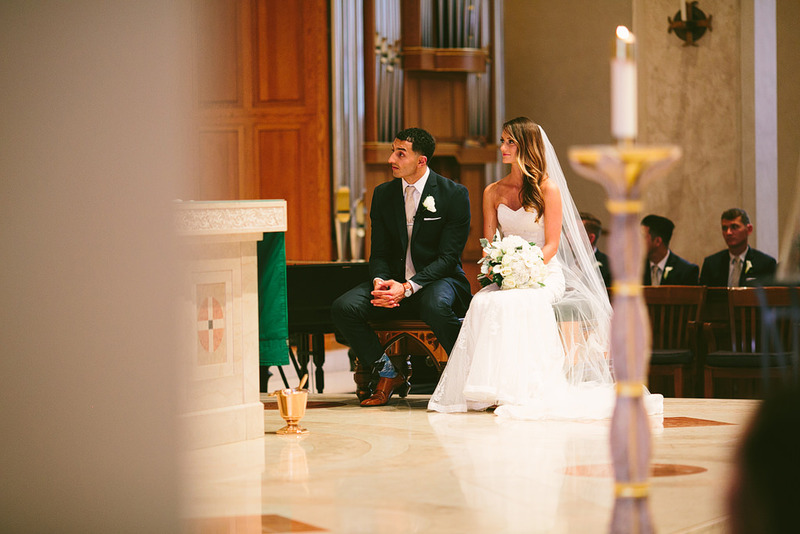 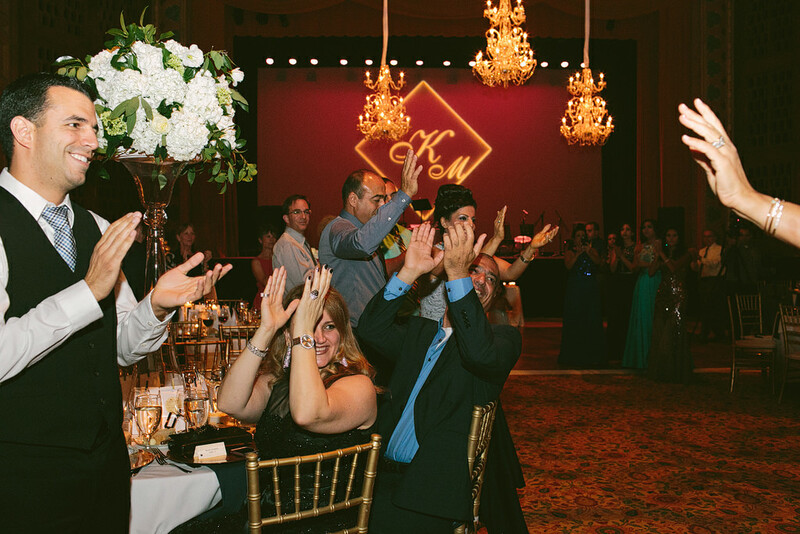 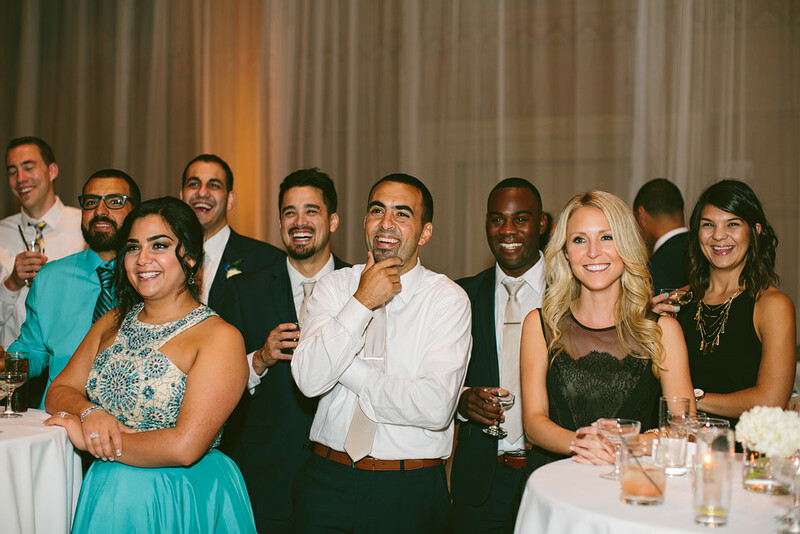 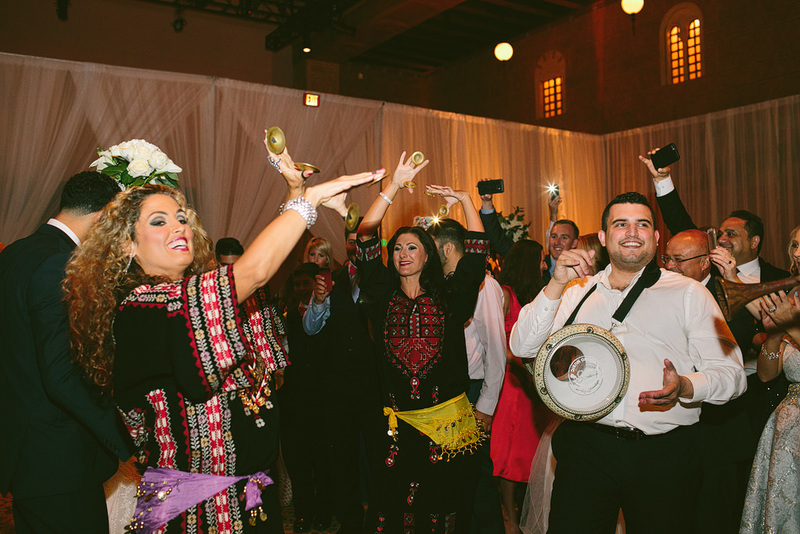 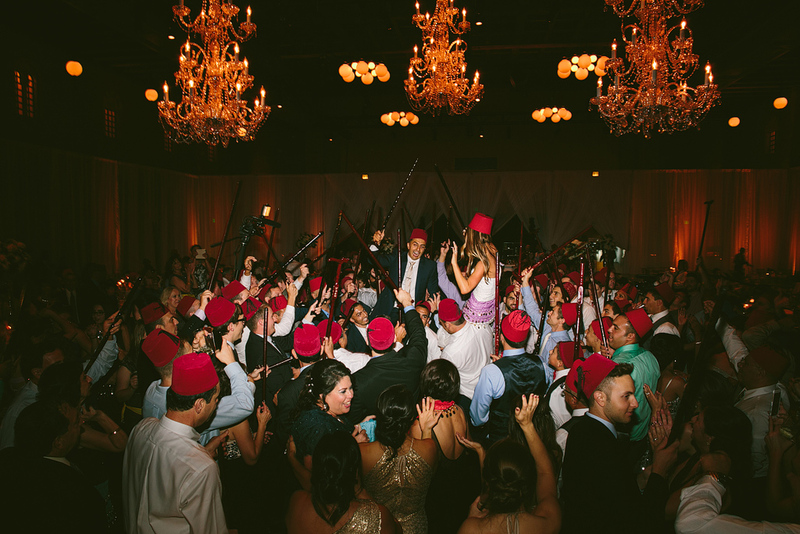 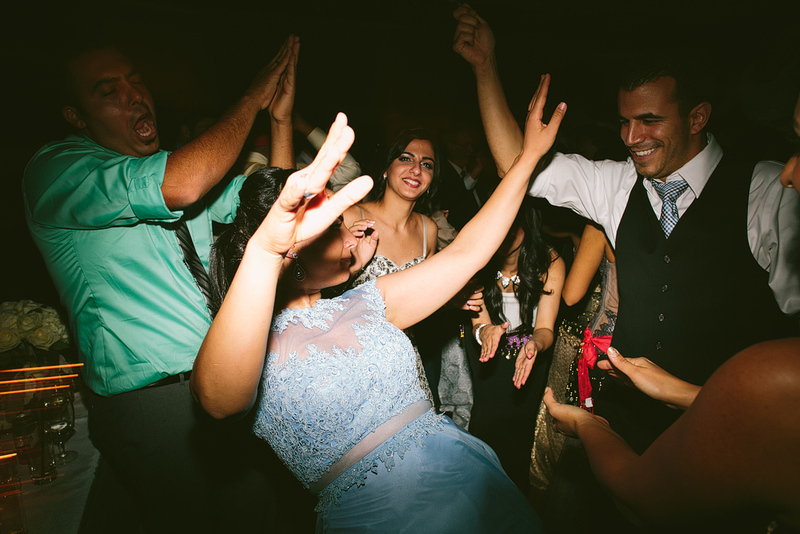 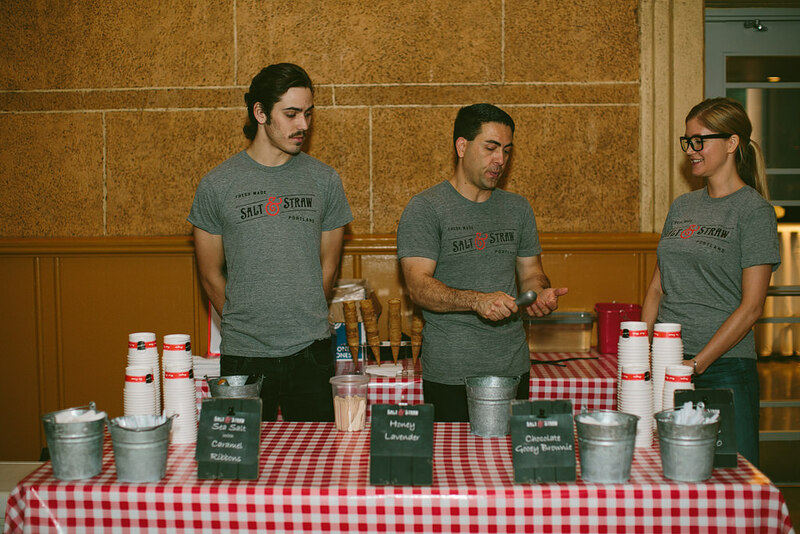 They incorporated Palestinian elements throughout the reception, which was so special! 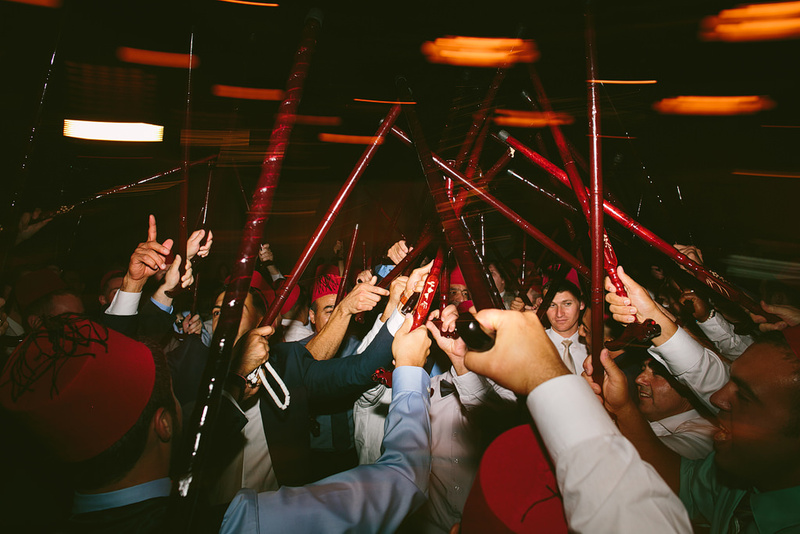 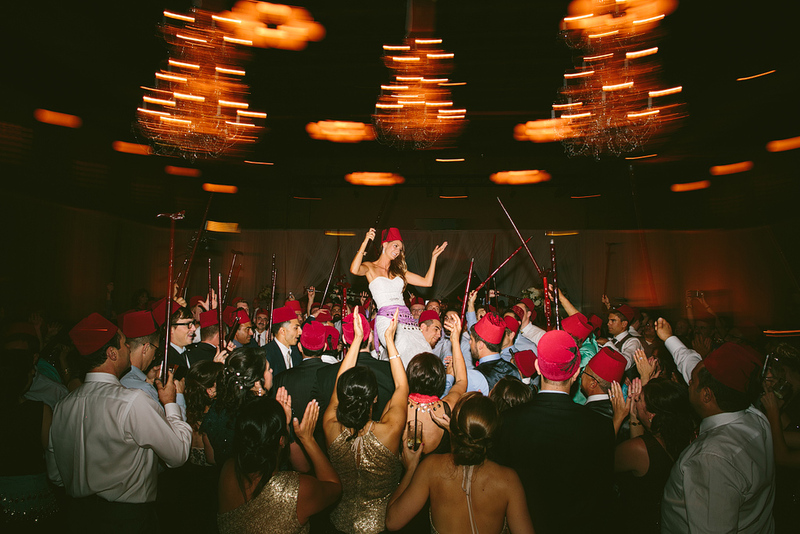 The men did a cane dance wearing red hats, with Megdy propped up on one of his groomsmen’s shoulders! 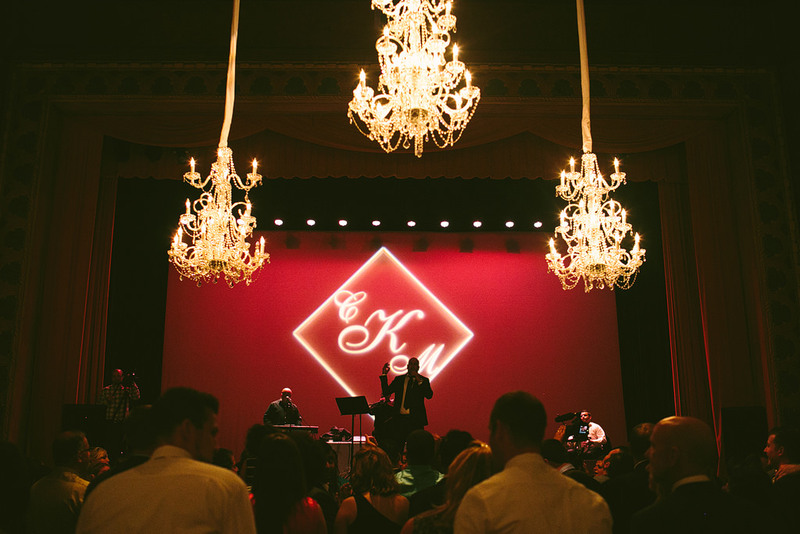 They had an amazing band, Salt n Straw, a champagne tower, and Vibrant Table poured special cocktails all evening long! 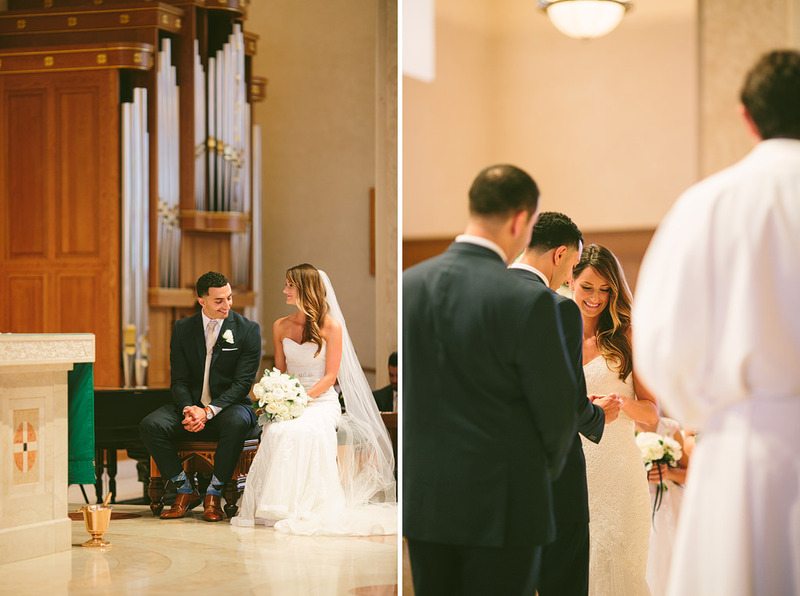 More from this wonderful wedding soon!